What would my life have been like without Tapestry of Grace? I can’t even imagine what our school would have been like to school through high school without the guidance and instruction provided in the year plans from Tapestry of Grace. It gave me the ability to offer high quality customized learning for my boys as they worked through each year. Nothing I have ever seen has fit our family as well as Tapestry of Grace. I felt inclined to create one last post with my list of things to be grateful for with Tapestry of Grace. This has made my life so much easier! Before Tapestry of Grace, I was trying to follow a classical style of homeschooling all on my own and was very overwhelmed. With the Tapestry of Grace book lists, I was able to create top-notch reading lists for my boys with amazing teacher’s notes and discussion ideas. Even if I didn’t read every single selection, I felt confident to discuss the books after going over the teacher’s notes. For sure, the books planned in Tapestry of Grace include all the books I would have chosen if I had to build this list from scratch…and then some! Some years we stuck strictly with the core selections and some years we supplemented with the alternate and in-depth selections. 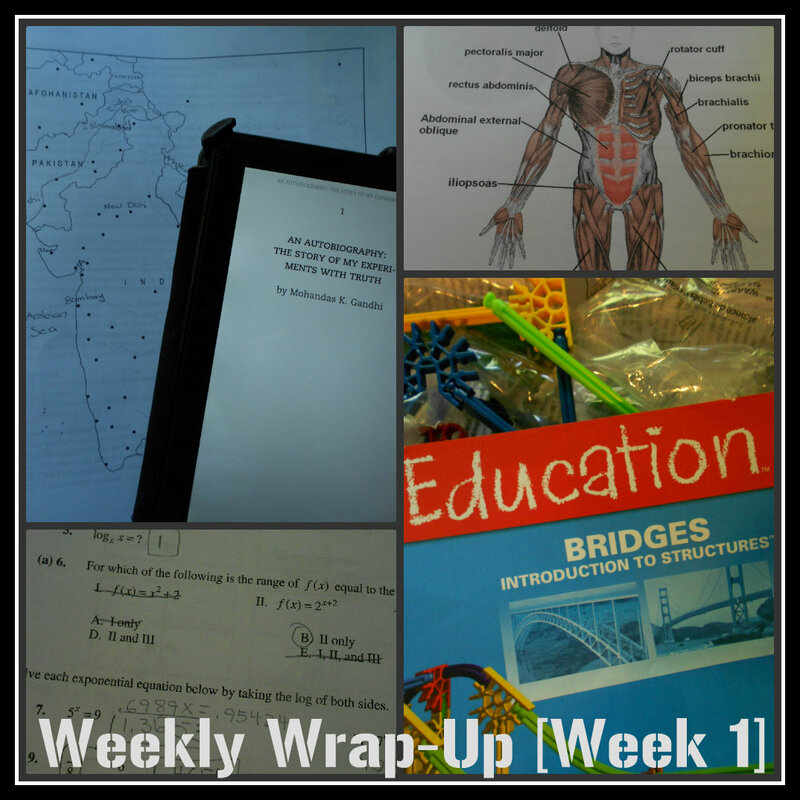 I was able to go deeper and wider with topics and time periods my boys were interested in learning more about. Even when we didn’t have the exact book from the book list, I was able to substitute books from our home library and our public library which saved me money. We even added in some of the literature selections as audio books which built great family memories of listening together with the whole family. The activities, timeline ideas, art projects, maps, and unit celebration ideas were so complete and thorough that we were always wanting to do more than just the basics. But, we could just stick to the basics when needed and still feel we were accomplishing more than enough. Our studies were more memorable because Tapestry of Grace led us to some wonderful projects and themes to research on our own. This was such a great help for me in planning. I could choose topics and projects that fit our style and interests using the skills we were building in the IEW programs. I didn’t use their Writing Aids because it came out after we had already started with IEW. I love that we could delve deeply into Bible history and the Bible as part of Year One plans. This wove together our family study and a more academic study of the times and countries that influenced God’s people in the Bible. The year plans helped us to tie world history to United States history. We read the history, studied the literature, learned about the artists, writers, philosophers, scientists, and composers as we worked through each time period. It was rich and complete. My boys were better students because our method of study didn’t change from year to year. They learned to use Tapestry of Grace and then implemented that knowledge with ease as we studied each year. Consistently high quality books made them eager for each new selection and they knew if they didn’t like a book that there was a reason we were reading it as we tied each one to the next. The reading was not always easy but because they just kept moving forward we were able to stick out a particularly dry or deep book selection in literature or history. This is my favorite part of Tapestry of Grace. I mentioned in number one above that this made it easier for me if I didn’t personally read a book that the boys did. On top of that, the notes were great references as we had our weekly discussions or if all else failed we could read the notes together as a jumping off spot for additional discussion. High school is fast paced and there are so many things to cover…the teacher’s notes in Tapestry of Grace made my job easier and more enjoyable. I also felt confident to offer book selections that I might have skipped because of content and difficulty. Year Two in the Rhetoric Level is tough but with the notes and additional materials we made it through the rough spots with more understanding and more of a sense of accomplishing something. Tapestry of Grace fit our family’s style of homeschooling which originally was strictly Classical but changed into a more Charlotte Mason and Project Based Learning style. All of these methods can easily be used with Tapestry of Grace. I highly recommend this product and have been an affiliate for many years because of our love of these plans. Tapestry of Grace- How to Pick Topics: Read this post and the follow-up post for some detailed explanation showing how we used the TOG history plans in high school. We are very much a literature and history loving family so Sonlight was perfect for us in the younger grades and those years hold so many fond memories of reading aloud. I think if I had to do it over again….I would use a combination of Charlotte Mason’s methodology with Sonlight books of choice in grades 1-3 (SL Levels 2-4) and then pick up with Tapestry of Grace in 4th grade starting with Ancients(Year 1) and then take two years with their Year 2 plans which would get me finished with the first cycle through their four years in 8th grade. Then we would go through TOG again in high school at the Rhetoric level. But then again, I honestly like the idea of a more relaxed attitude towards academics in the earlier grades. I also like the idea of starting with things that mean something to our family….Why learn about Ancient Egypt when we have Gold Rush history in our backyard? Why learn about the rainforest when I have the great Sierra Nevada at my feet? I might even turn into a radical unschooler if I went back in time and started over. In those early years I think I would be more aiming at exposure to lots of great authors, ideas, and free time to pursue outdoor activities and interests (sounds like a Charlotte Mason education). Or, lately I have been intrigued with Trail Guide to Learning….which says it is appropriate for 3rd grade and up. This is the problem with trying to come up with a “what if” plan looking back….too many new choices. The only thing that I might do differently is to switch Year 1 and 4 in high school, saving Ancients for Grade 12. This first week of school was the most relaxed and uneventful ever. Mr. B seamlessly picked up from where he left off last year and kept his good attitude all week. I can’t say that he needed me much this week as far as learning but at the week’s end it has been nice to check in with him and see what he has been up to. The big change in curriculum for the year is the switch from Simple Schooling Anatomy to a full blow college level Anatomy and Physiology text. We picked up with the unit that was scheduled next in the Simple School plans and just moved on. This text comes with an interactive DVD for review and computer games…not exciting fun games but just quizzes disguised as games. Mr. B liked the text and once he opened the book the only question he had for me was, “Can I write in the book?” After that, he was off and running. This is going to be a good year for anatomy. Sidenote for NotebookingPages.com Treasury Members: Did you see that Debra posted a complete set of pages to use with anatomy study? These are more than just notebook pages…Mr. B will be using them for notes and studying. Literature and history were a snap this week because he had done the reading over the summer. This week Tapestry of Grace history was learning about Gandhi and a little of the 20th century history of India. His literature selection is All Quiet on the Western Front. We had skipped this book last year when Mr. B was on WWII overload and he enjoyed reading the book so much more over the summer. He is now using some of the suggestions in the Tapestry of Grace plans for a follow up writing assignment. Yes, I assigned writing the first week of school. I told him it was sort of like jumping into the deep end of the pool and this assignment would jump start his year of writing. Something else new for us this year is that I am helping with a small co-op of homeschool children from our congregation. This is the first time ever that there have even been more than two families homeschooling at the same time. I am leading art and nature study…of course. The other things we have planned are tennis (started this week), monthly visits to the local observatory, an art show at the end of each term, science fair in the spring, volunteer projects, and assorted field trips. I am anxious to see how the year goes and if everyone keeps up their enthusiasm. We have our first art class next week and I am taking the opportunity to give a new product a test with a group of kids of varying ages. 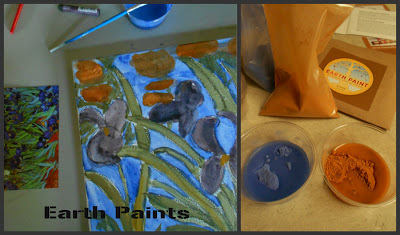 Earth Paints are awesome and I can hardly wait to share the review with you….and a giveaway! Looking forward to getting into our homeschool rhythm….